Late invoices are the bane of all of our existences. Income from a freelance and consulting business can naturally ebb and flow. Late invoices during an already slow period can cause serious panic. 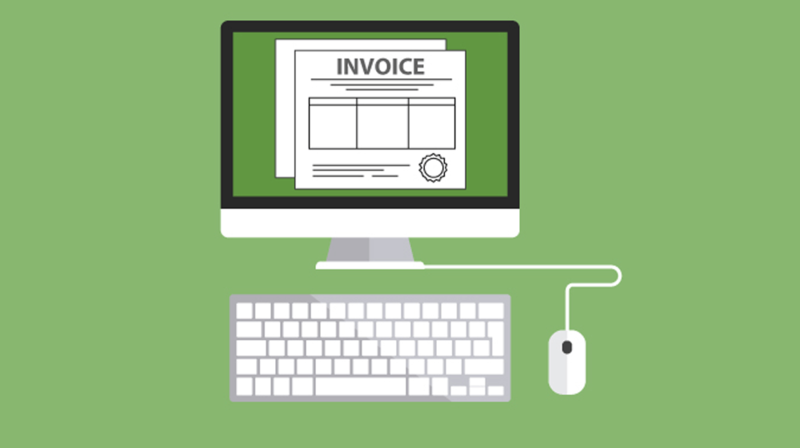 There’s certain information you need on an invoice to get paid appropriately. You need your address, payment options, and payment terms among other things. Learn all of the information that should be on your invoices here. The payment terms specifically are how long the client has to pay you before it’s considered late. Common terms are net 7 days, net 30 days, due upon receipt, or due end of month. The terms may be negotiated within your business contract before you start working. Always look at contracts for payment terms so you’re not surprised. If there isn’t an existing payment arrangement within your contract, make sure you update your invoices with the payment terms that you desire. I currently do the “due upon receipt” payment term. But there have been instances where I wondered where a payment was only to find that I mistakenly sent an invoice that said due within 30 days. A freelancer buddy of mine also made the same mistake recently. She wondered where her money was month after month and discovered that the terms of the contract she signed with the client said payments will be sent within 45 days. I used to have one client who paid with paper checks. The payment was constantly late. Physical checks can add days or even weeks to the payment process, and this is coming from someone who used to work in an accounting department. Accounting has to get the invoice approved and then they print the check. The check printing process may happen once a month. If you send an invoice right after that month’s check printing, you could be waiting weeks for the payment. There were many times that my payments got lost in the mail. Physical payments are also a pain to track. I could go on and on about why physical checks are trouble. Start making it easy for clients to submit online payments. If they’re hesitant, walk them through the benefits and safety features of online payment systems. This can do wonders to speed up the payment process. Some clients don’t take paying creative business owners, freelancers, and consultants seriously. They want the work, but they don’t feel the same urgency to pay as they would with other services. There’s no other industry where a customer doesn’t have to pay promptly for services rendered. Could you imagine telling a plumber you’ll pay them sometime next month when you get the money? Could you imagine telling a landscaper that they can get started on the tree trimming now and you’ll make a payment sometime later? No. The attitude some clients have towards paying freelancers is not all of their fault. We have to take ourselves seriously and not beat around the bush when asking for payment. We’re not doing someone a favor. Be stern when you ask for payment. It isn’t rude. Let it be known in the beginning of the relationship that you expect the money when it’s due. Take money upfront to make sure the client is serious. Follow up on payments repeatedly so they understand that you’re running a business and not a hobby.